Last Call! Banquet Tickets Going Fast! This Banquet is going to be fabulous! Be there if you possibly can! 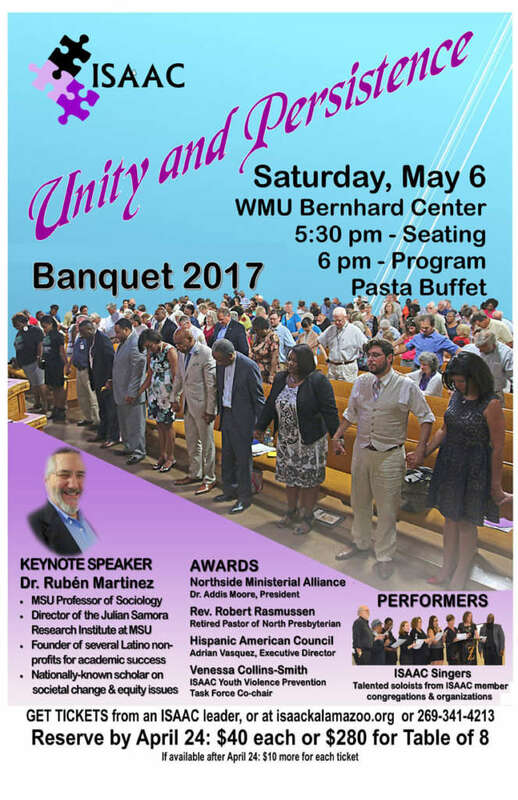 “Unity and Persistence” is the theme of this year’s banquet on Saturday evening, May 6 at WMU Bernhard Center. The keynote speaker is Dr. Rubén Martinez, a nationally known scholar and organizer from MSU. His research includes institutional and societal change, education and ethnic minorities, youth development, and other equity issues. He is Professor of Sociology and Director of the Julian Samora Research Institute at Michigan State University, has worked with Latino and minority community organizations across the nation, and has founded several Latino non-profits focused on Latino academic success. Performing at the banquet are Rev. Christopher Moore, Sr., singer and keyboard player as well as Assistant to the Pastor at Mt. Zion Baptist Church, plus singer Nathaly Ninoska Olavarria Valencia Anderson from the Hispanic American Council, and the ISAAC Singers, talented soloists from many of the twenty-five member congregations and organizations of ISAAC. Awards for leadership will be given to the Northside Ministerial Alliance, Rev. Dr. Addis Moore, President; to the Hispanic American Council, Adrian Vazquez, Executive Director; to Rev. Robert Rasmussen, retired pastor of North Presbyterian Church; and to Venessa Collins-Smith, Co-chair of the ISAAC Youth Violence Prevention Task Force. Fetzer Institute, the Kalamazoo Community Foundation and the YWCA are receiving Community Builder awards for their generous sponsorship of the banquet. Seating begins at 5:30 for the 6:00 pm program and pasta buffet. Tickets are $50 each or $360 for a table of 8, and should be ordered right away at 269-341-4213. 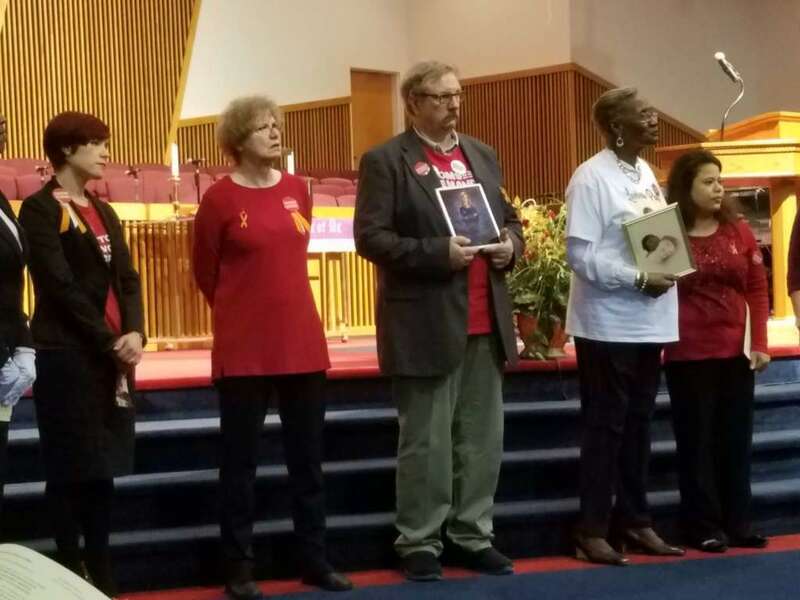 ISAAC (Interfaith Strategy for Advocacy & Action in the Community) is an interfaith organizing network of congregations and strategic partners working together to create an equitable community in Kalamazoo County. Current task forces are Anti-Racism, Early Childhood & Education, and Youth Violence Prevention.